Personally and against dirt and aging! Neon Edge Tapes - striking! Our edge tapes will make any of your paddles very special. They will reflect your personality and bring even more fun to your play. 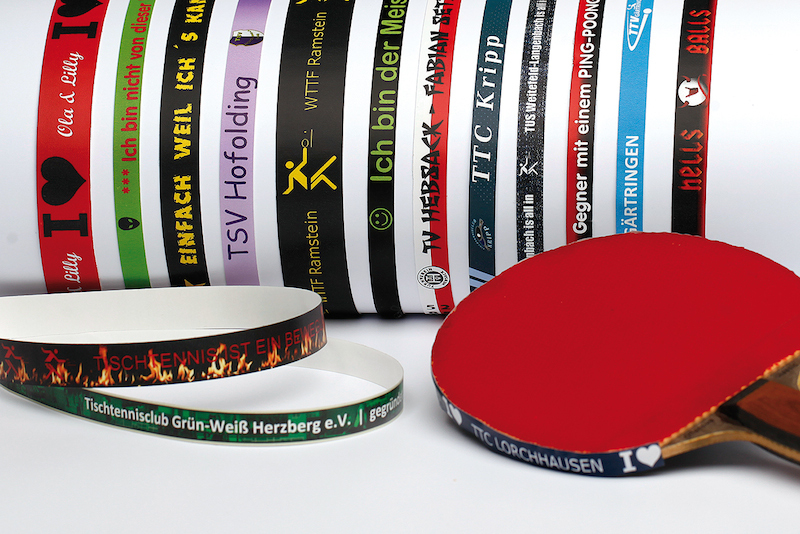 Create your personal edge tape now or start designing one for your team or club. 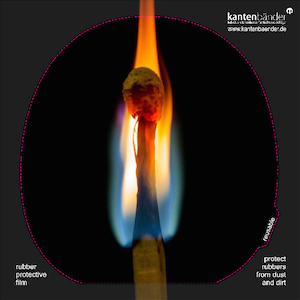 Our high-tech protection: protect the surface of your racket with your own protection sheet. This new development adheres to the racket without being gluey and offers a cut-path in the shape of a racket. Dirt can be easily wiped off with a sponge or damp cloth! Protect the surface of your table tennis rubber with your very own personal protection sheet. 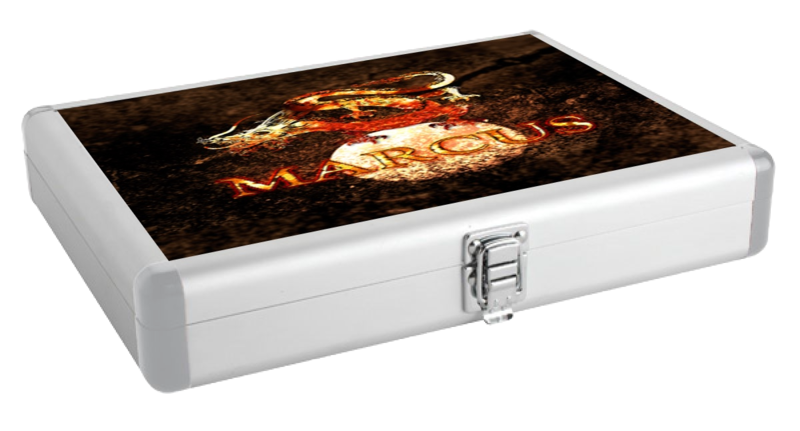 The special and individual racquet case for the safe storage of your racket! Your high-quality racquet case, completely made of aluminium, in your individual design! The edges are specially protected by impact-resistant plastic, the soft inner padding provides optimal protection for your club. What is the best table tennis bat for beginners? As a beginner, you really need to have a racket that allows you to spin the ball and develop a degree of feeling. Our rackets offer plenty of control making them the ideal rackets to learn all the basic table tennis techniques. And to make the racket your racket: design your unique edge tape and get it on top for free!